According to a new study cited by Forbes, it is estimated that up to 75 percent of doctors are influenced in their practice by their fear of a lawsuit. Coined “defensive medicine,” doctors now regularly conduct more tests than necessary to protect themselves from litigation. Some believed this was a bad development for patients, but a new study from the Harvard Business School found the opposite may actually be true. Defensive Medicine: Good or Bad for Patients? Defensive medicine was thought to be detrimental for patients because it exposed them to unnecessary tests that increased healthcare costs, and denied them access to potentially risky treatments with life saving potential. However, the study from the HBS found that defensive medicine is actually spurring medical innovation beneficial to patients. In response to the change in doctors’ practice of medicine, device makers have begun developing products to help address practitioners’ fears. Instead of developing products that will help with new procedures, device makers are developing new diagnostic tests and tools that could help monitor procedures that are already commonly performed. For example, C-sections are performed every day, and generally go smoothly. If there was a medical device to check the location of a baby’s head during the procedure, though, the likelihood of medical error would be reduced, according to the Forbes report. Medical Errors: A Growing Problem in the U.S.
Medical errors are far too common in the U.S., and they are only increasing. The Center for Disease Control is typically responsible for collecting data on the the leading causes of death in America, but it does not account for medical errors, and so until this year, there was insufficient data on the severity of the issue. Earlier in 2016, a study from Johns Hopkins University found that medical errors are actually the third most common cause of death in America, killing about 250,000 people each year. That’s 100,000 more people each year than those killed by the fourth leading cause of death in America, respiratory disease. Yet, while roughly a quarter-million Americans die each year because of mistakes made by their healthcare providers, surprisingly few families pursue a medical malpractice lawsuit in response. Between 2005 and 2015, there were 614,937 medical malpractice claims in the U.S., according to the National Practitioner Data Bank, a database of medical malpractice claims put together by the U.S. Department of Health and Human Services. This information suggests that many more people are killed or injured by medical errors each year than actually file a medical malpractice claim. For whatever reason, few people choose to pursue a medical malpractice claim to get justice for their loved ones. Fortunately, new medical devices that help doctors perform common procedures more effectively may go a long way in preventing medical errors in the first place. If medical device makers only developed products for new procedures, operations such as joint and ligament replacements may be less invasive, but medical errors will likely occur as surgeons adjust to these new products. However, if new devices are developed for procedures that already exist, doctors will be able to perform familiar procedures even more effectively. As a result, there will likely be fewer instances of medical error that result in a patient’s injury or death, and in turn, fewer medical malpractice claims. If this happens, it could lead to a reduction of defensive medicine tactics. This will be beneficial for patients, who will face fewer tests, receive treatment faster, and find their healthcare costs lower because of fewer trips to the doctor and less testing. This is all speculation though, and only time will tell if medical devices designed to monitor procedures that are already commonly performed will reduce medical error and malpractice claims. Until then, ask your healthcare provider a lot of questions, make sure you and your doctor communicate well, and don’t forget about your legal rights if something terrible does happen because of medical error. What Options Do Medical Malpractice Victims Have? 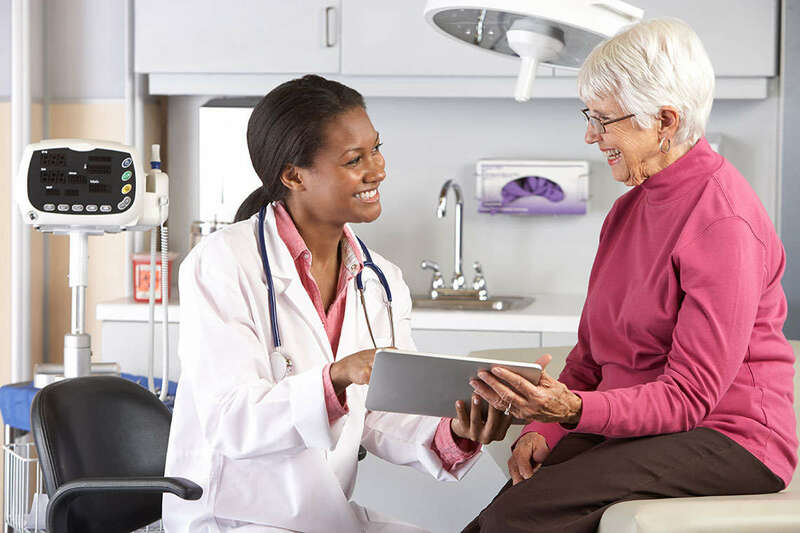 Everyone will need to go to the doctor at some point in their lives, and when that time comes they should have confidence in their healthcare provider. Currently, far too many people place their trust in doctors and medicine that makes their condition worse, not better. If you or a loved one was such a person, there is legal action you can take to hold your healthcare provider responsible for malpractice. Medical malpractice comes in many forms and could be as simple as a misdiagnosis, or as severe as a serious surgical error. Our medical malpractice attorneys have experience with all forms of malpractice cases, and will know how to pursue your claim. Medical malpractice cases are some of the most complex in the legal field because of the knowledge of law and medicine that is required, meaning no ordinary attorney will do. If you would like to learn more about how our attorneys may be able to help you, fill out a free, no-obligation case evaluation to start the process.